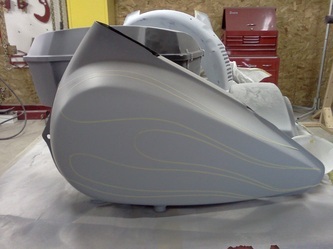 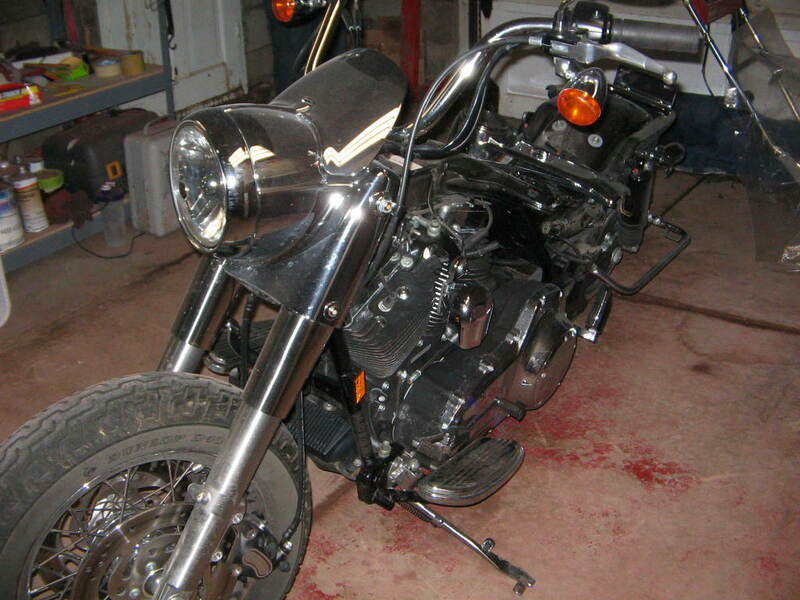 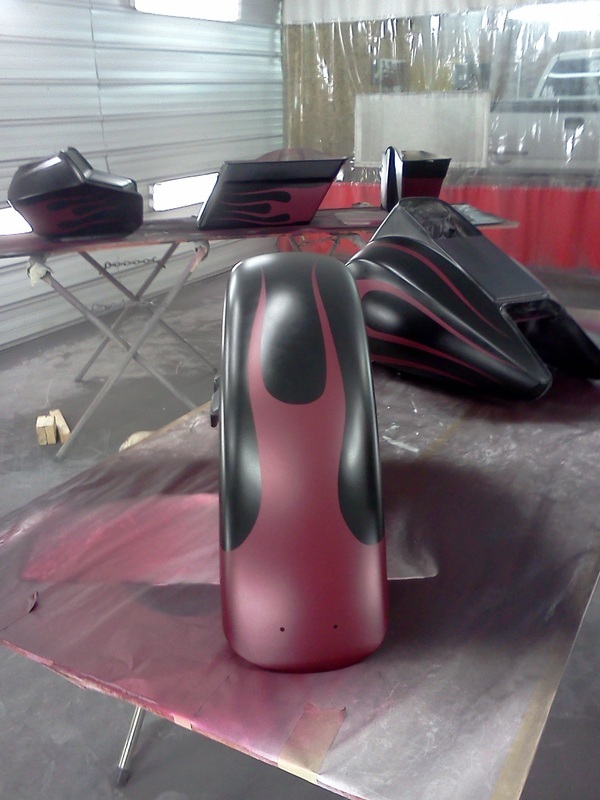 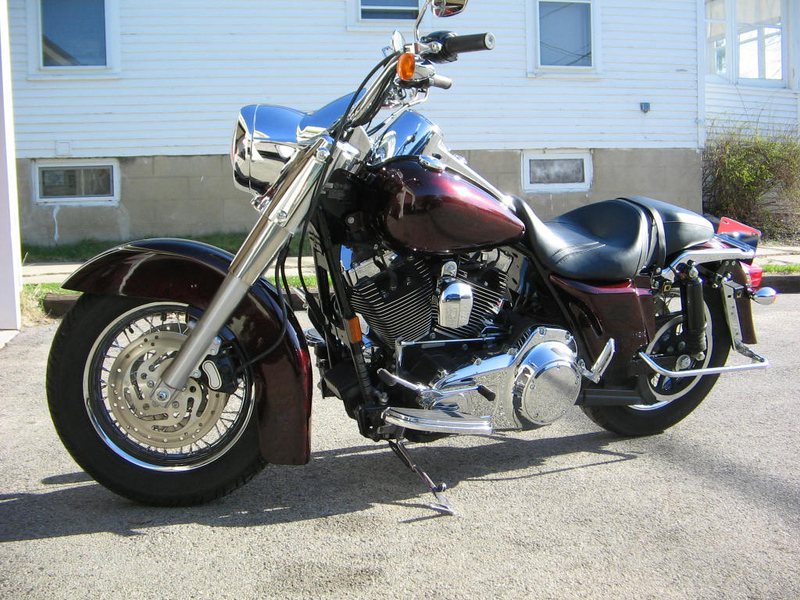 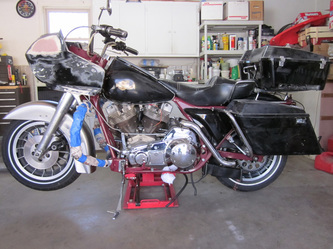 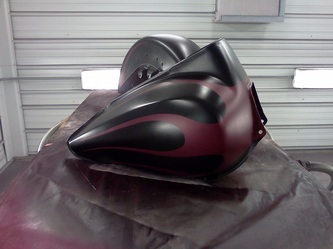 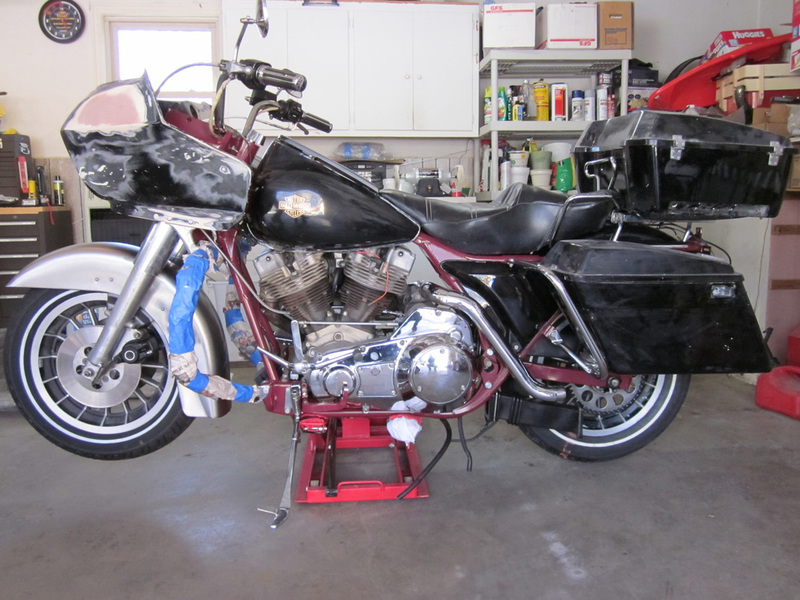 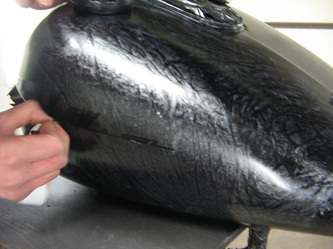 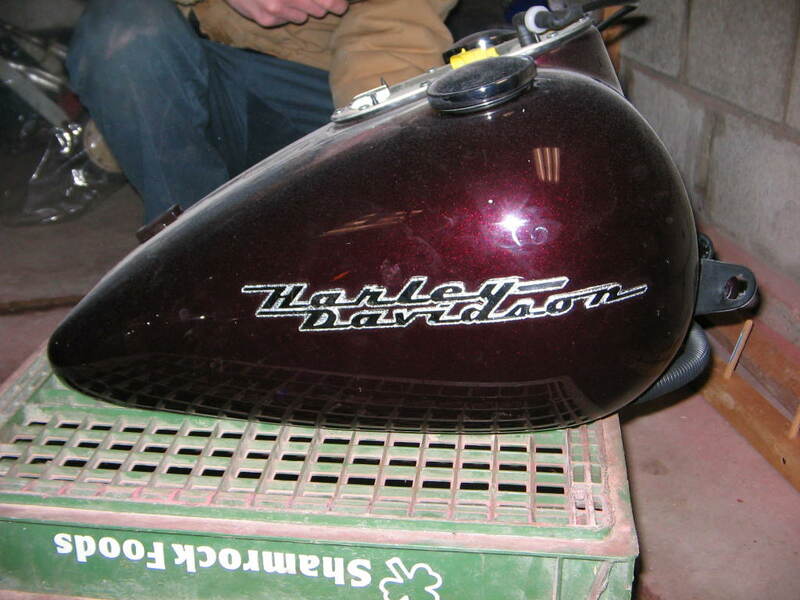 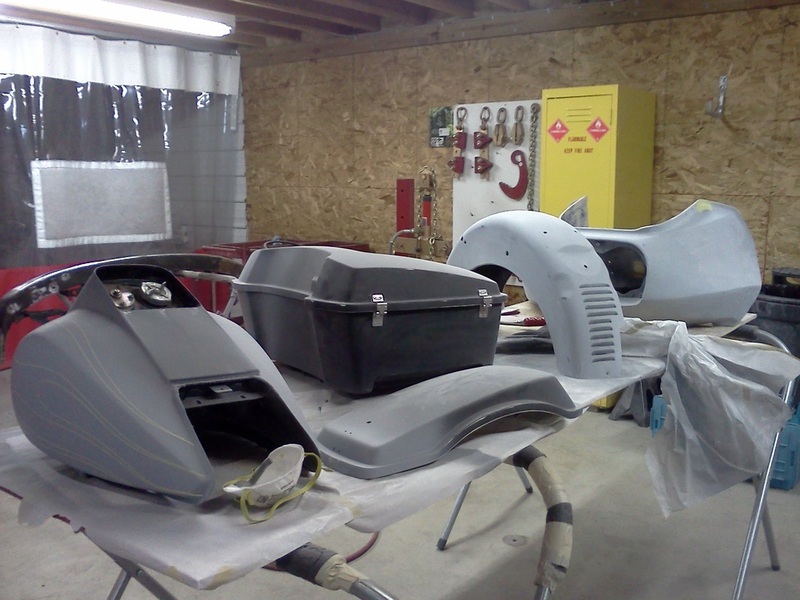 Motorcycle - Gary's Collision Center - For all your auto body needs! 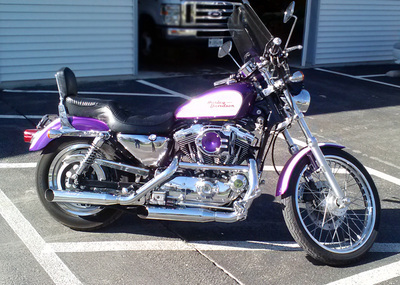 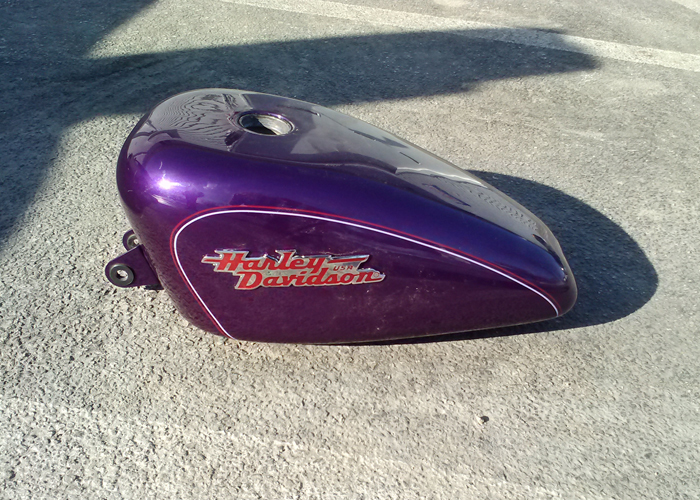 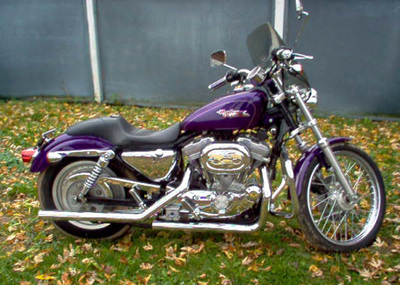 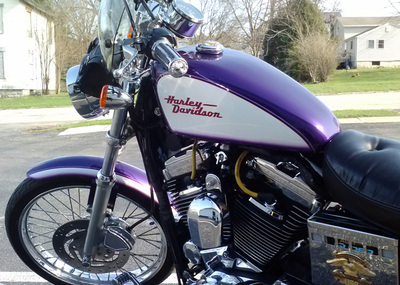 A recent custom paint job on a 2000 Harley Davidson Sportster. 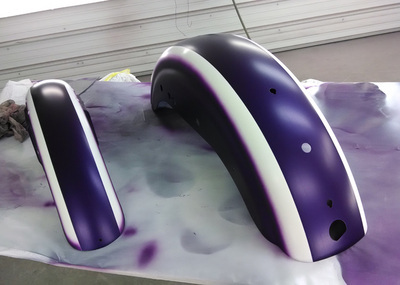 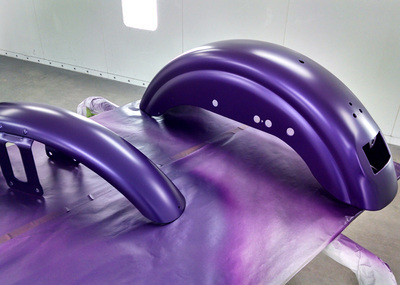 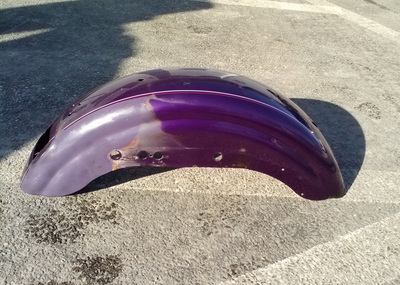 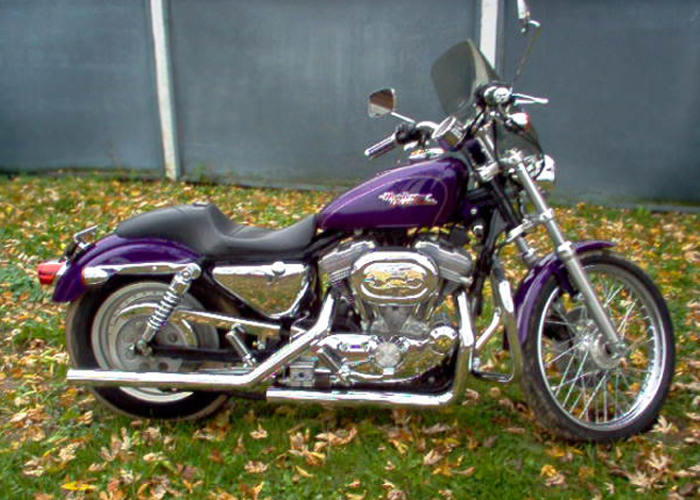 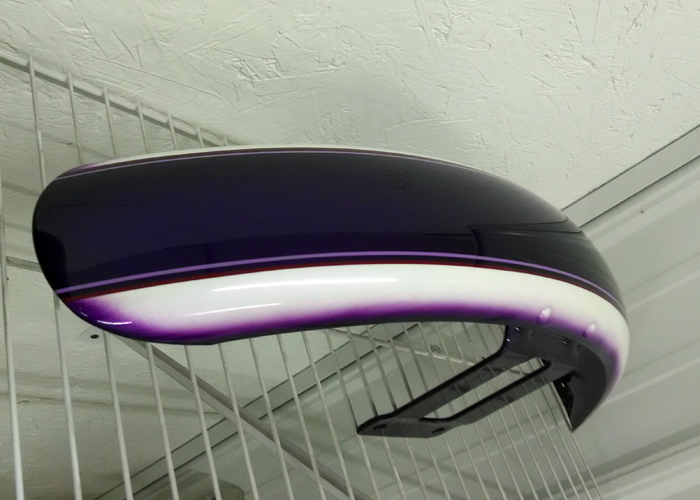 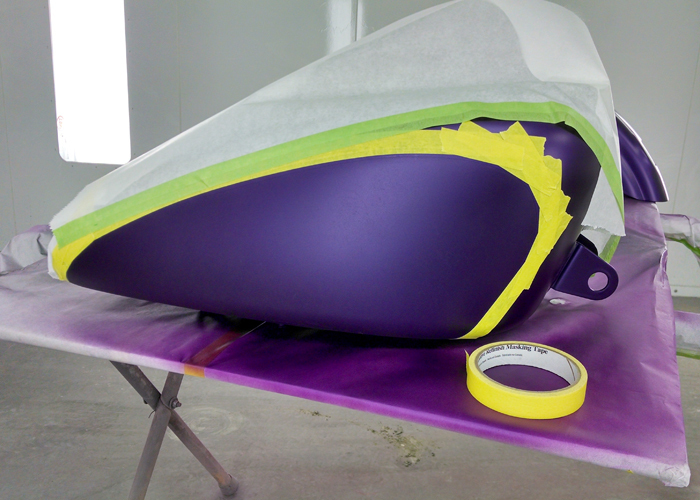 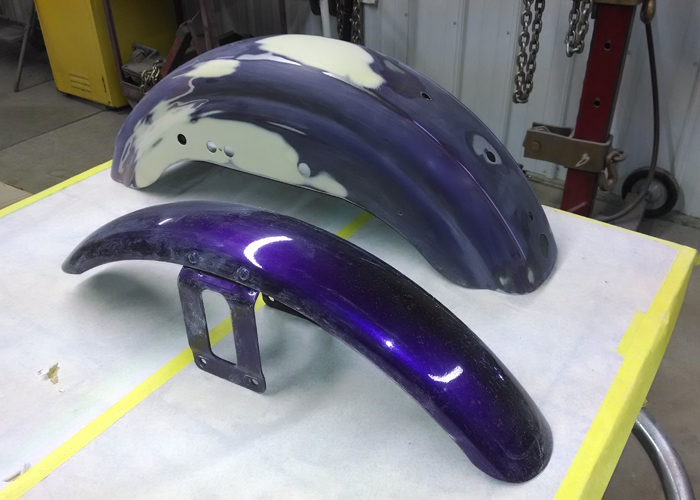 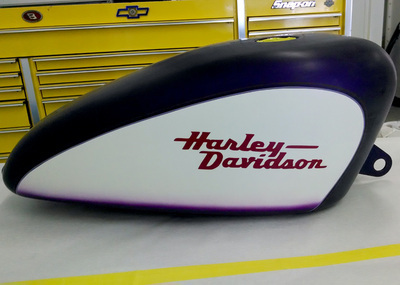 This job was done using a Lavender White Pearl and HD Concord Purple Metallic, along with some airbrush to give a custom effect. 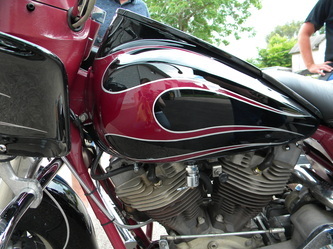 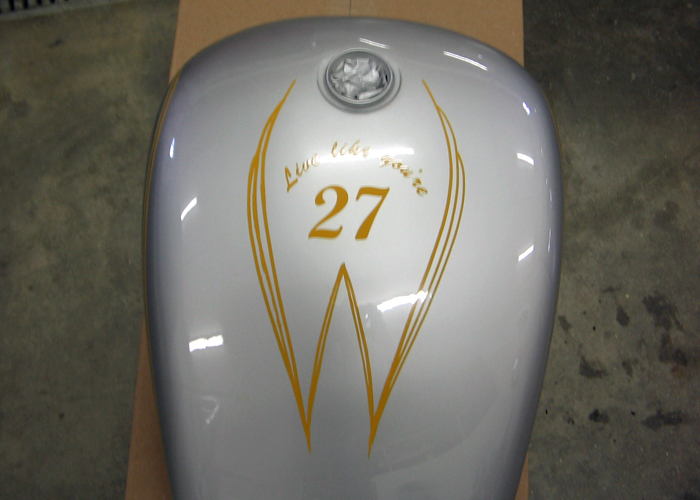 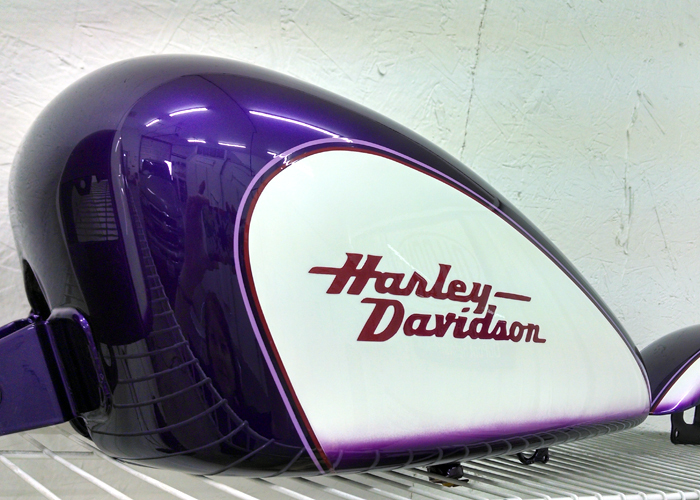 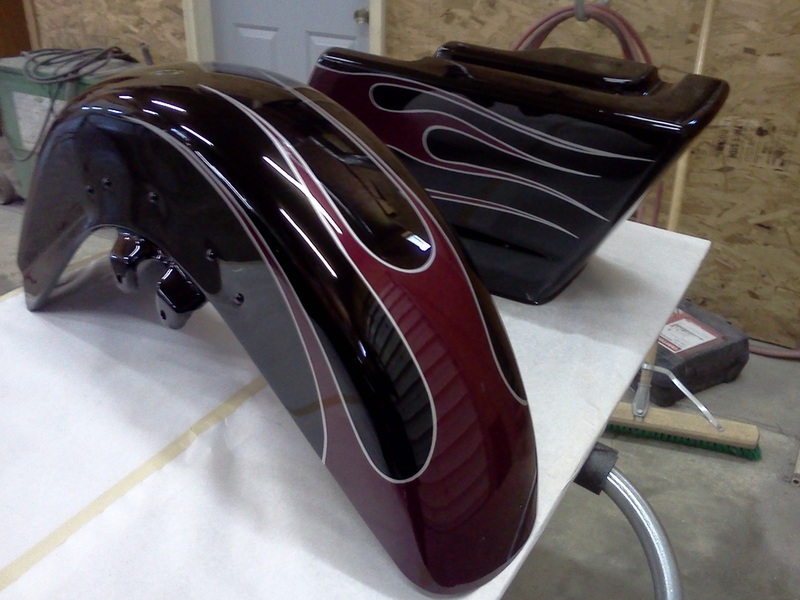 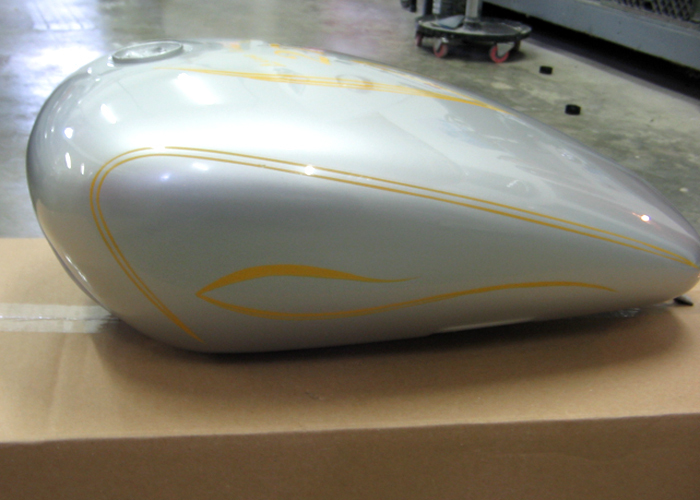 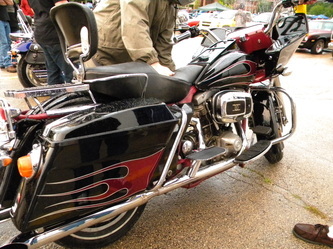 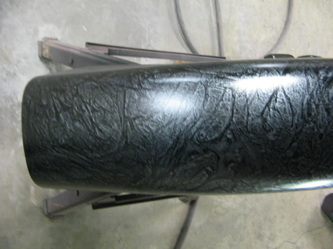 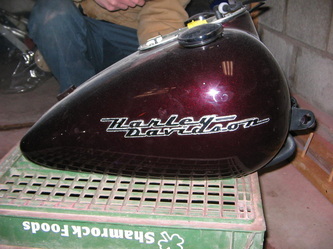 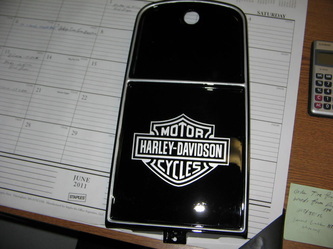 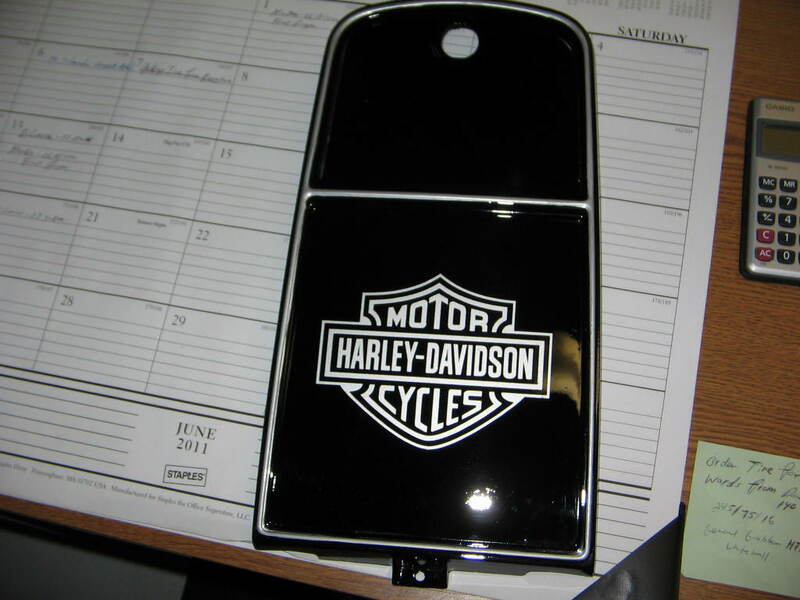 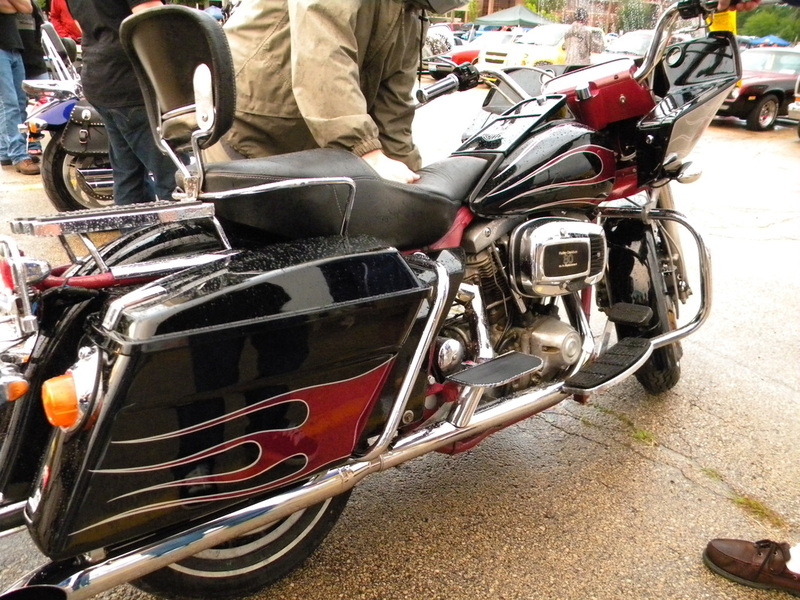 We did a custom colored flame with silver pinstriping on gloss black on this 1983 Harley Davidson. 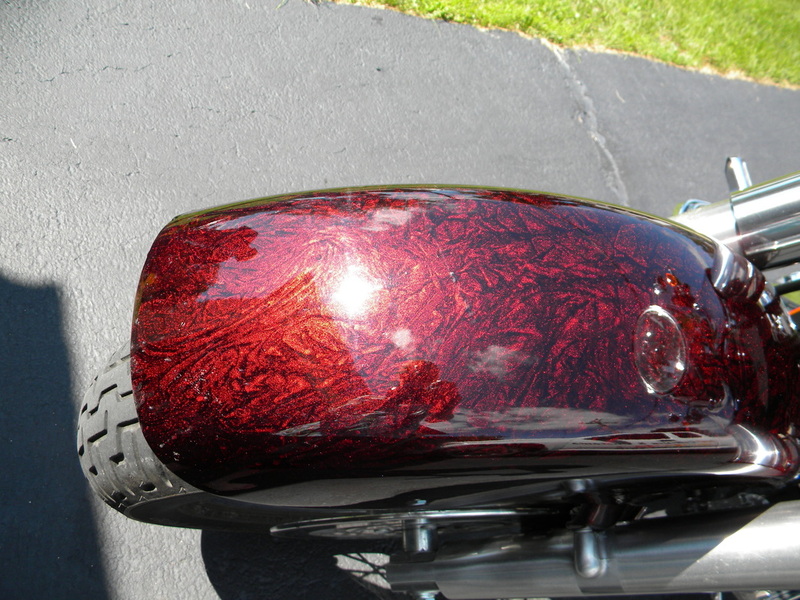 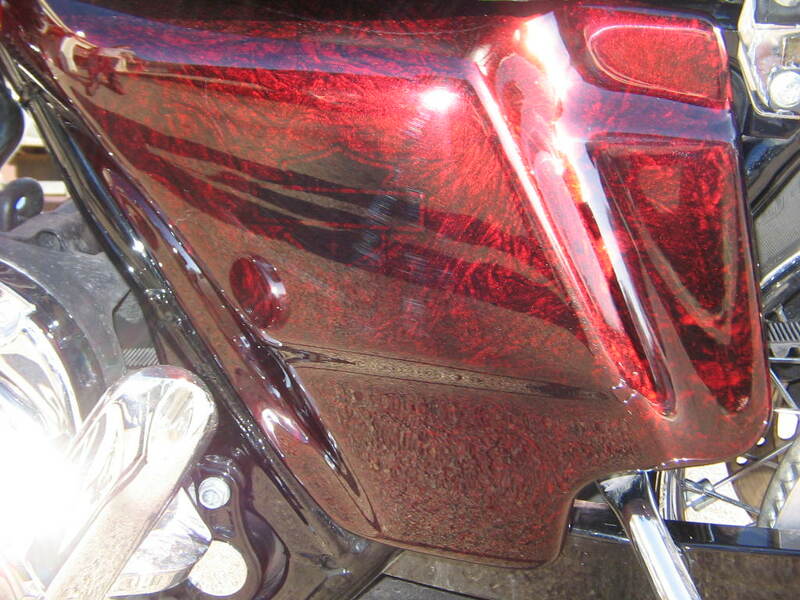 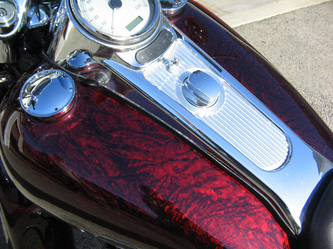 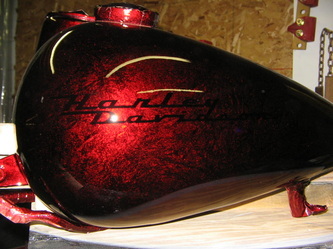 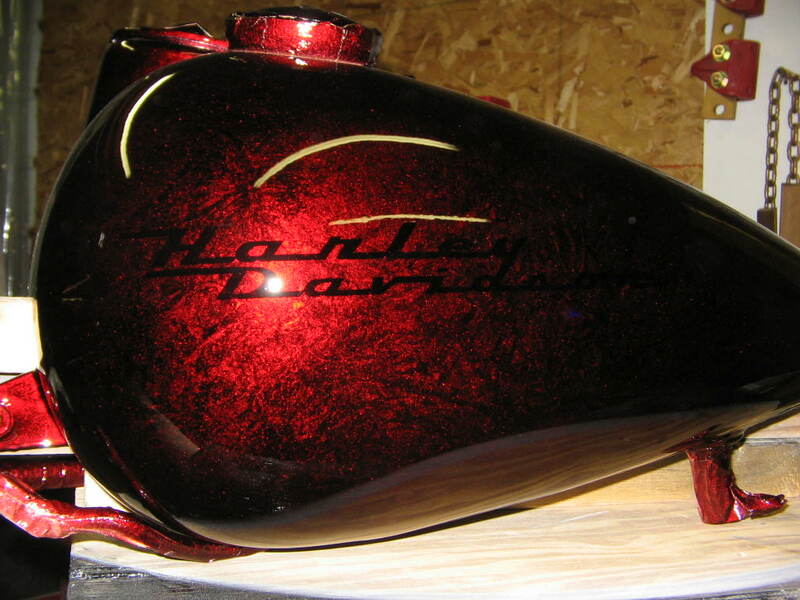 Below that is a 2007 Harley Davidson Road King that we custom painted with Red Candy and created a "Marble" effect.